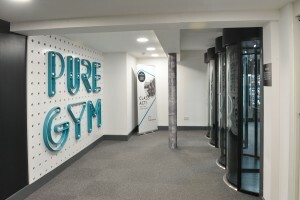 In recent years there has been an increase in the number of businesses looking to enhance their buildings’ security by installing physical barriers, such as Security Portals or Speed Gates. 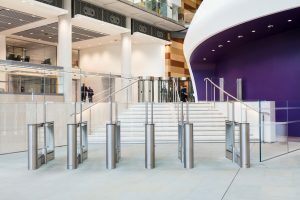 For most office developments Speed Gates are the preferred solution as they allow a higher level of throughput whilst creating a secure line to the building, preventing unauthorised access. However in small reception areas the space available for Speed Gates can be limited. 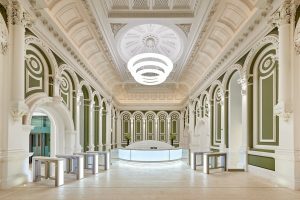 This is why we have developed several small footprint solutions that are capable of delivering secure entrance control whilst taking up minimal space. 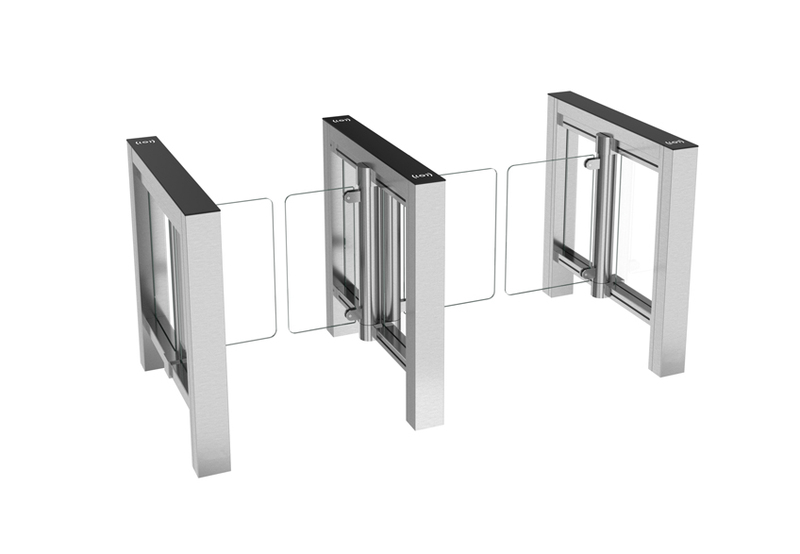 Meesons offer two of the shortest Speed Gates available in the market. Our EasyGate SG/ SR with a cabinet length of 1000mm, and width of 120mm offers a slimline and robust solution. 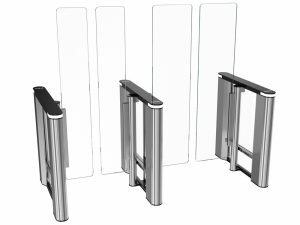 Our EasyGate Elite with cabinet length of 1070mm and width of 120mm offers a streamlined and compact solution. The Elite has a modern and stylish design, with minimal stainless steel and glass construction it ensures the Elite stands out as a focal point in any office or reception area. 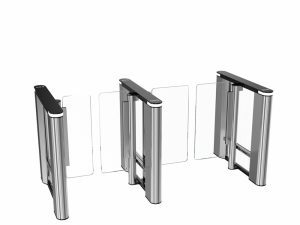 The EasyGate Elite can also be provided with 1800mm high glass wings to add an additional level of security. Both the EasyGate Elite and SG/ SR Speed Gates have a small footprint allowing you to make the best use of the space available. 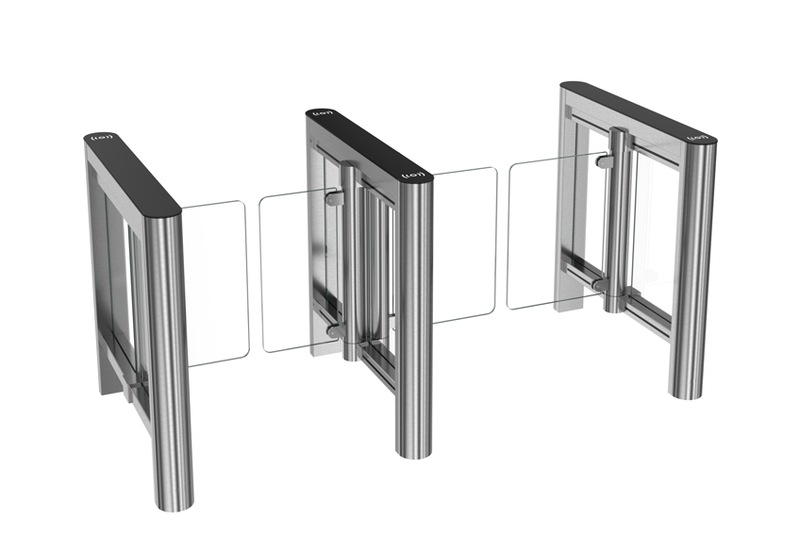 For installations where space is very limited or it is not possible to fit multiple Speed Gate cabinets, our sensor wall technology can be used to complete the passage lane. 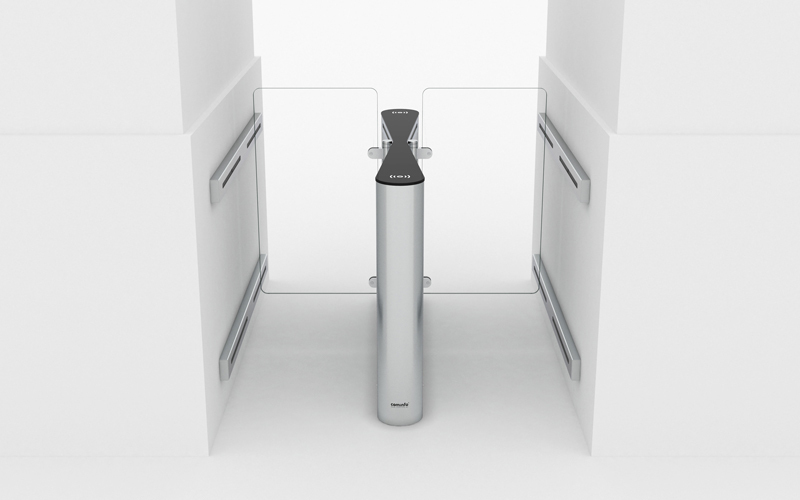 Our sensor wall technology removes the requirement for a second cabinet providing a space saving solution. 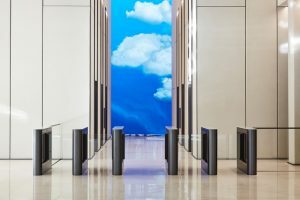 The sensor wall can be flush mounted or recessed into a wall or reception desk parallel to the sensor bars on the Speed Gate cabinet to create a passage lane. The Sensor Wall Technology can be provided alongside any of the Speed Gates within the Meesons range, maintaining a high level of tailgating detection, whilst offering a cost effective solution to securing your building.